Yesterday, Jan 15, all you honest folks who have to file quarterly estimates to the IRS dutifully made out your checks and sent your envelopes on their way. The only good thing that can be said about that moment is that the next time you have to perform the task will be opening day for the 2015 Durham Bulls season! And that is very, very good news. 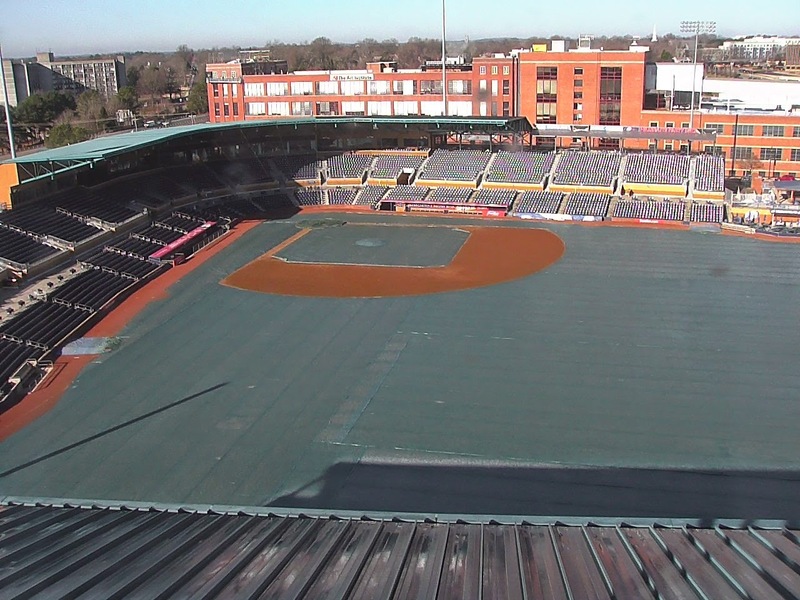 If you’ve been checking in on the webcam, you may have noticed what appears to be a tarp has been covering the field for the last couple of months. Back in November, Scott Strickland explained that to us all, but I never got around to putting up the link. Turns out, as regulars know, maintaining the turf at the DBAP is a pretty tricky proposition. More than that, probably our greatest disappointment with the big renovation last year was that for all the time, effort, and sheer hard work over the winter of 2013-14, the playing field never really looked all that good. A terrific read and I thank Scott for keeping us informed. Meanwhile, someone inside the building has really been paying attention to all the moves that the Tampa Bay Rays have been making and has put up a very interesting analysis of what it might mean to the 2015 Bulls. Much more courage than I have. I’m just going to put up the link and then try to remember to come back to it in early April … and see how they did. Thanks for the heads up. I've found some tweets implying the same thing, but no "official" announcement yet. Good for him and for the Rays. Craig Albernaz to be coach for the Princeton Rays, a rookie league team in Princeton, West Virginia. More later.